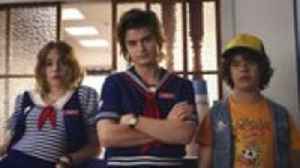 In Association With Tommy Hilfiger *Unknown T *is an enigma. 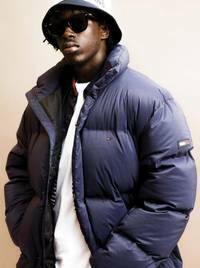 He’s currently bringing an energy to UK drill that has never been seen before, establishing his own simple but effective blend of..
Rickie, Melvin and Charlie will replace Charlie Sloth on the station's evening music slot from 2019. 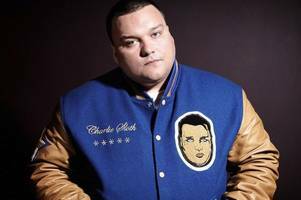 ▶ Videos for "Charlie Sloth"
GRM NEWS: EP.1 - GHETTS, WILEY, CHARLIE SLOTH & ALOT MORE!!! 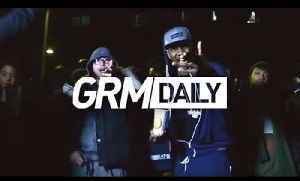 http://www.Grimedaily.com - CHECK OUT THE EPISODE OF OUR WEEKLY SHOW 'GRM NEWS' - PRESENTED BY CLAIRA HERMET AND RALPH HARDY - FEATURING, GHETTS, WILEY, CHARLIE SLOTH & MANY MORE!!! 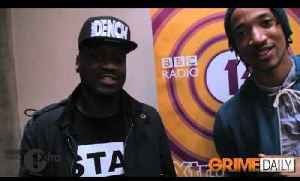 SUBSCRIBE: http://bit.ly/GRMsubscribe VISIT: http://grmdaily.com/ WWW.GRMDAILY.COM @GRMDAILY TWITTER : http://www.twitter.com/grmdaily FACEBOOK : http://www.facebook.com/grmdaily MORE SHOWS..
1XTRA ACADEMY LAUNCH - CHARLIE SLOTH, TREVOR NELSON, LETHAL BIZZLE & FATBOY FROM EASTENDERS! 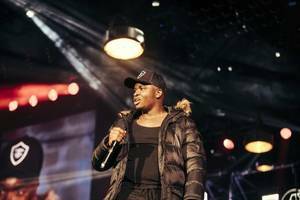 http://www.Grimedaily.com - At the press launch for BBC Radio 1 & 1xtra's academy, Poet caught up Charlie Sloth, Trevor Nelson, Lethal Bizzle & Fatboy from Eastenders. 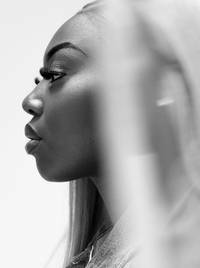 For more information on the..
Tiffany Calver will be the first female to host the show made famous by Westwood and Charlie Sloth. 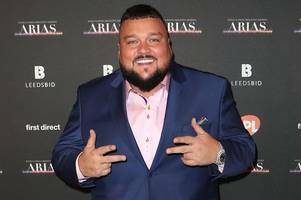 Charlie Sloth hit headlines when he invaded the stage at the Audio and Radio Industry Awards [Getty] Charlie Sloth is the latest star rumoured to be taking part in the latest series of I'm A.. He bills himself as the voice of the youth, born in the ghetto and playing up to a life of crime. 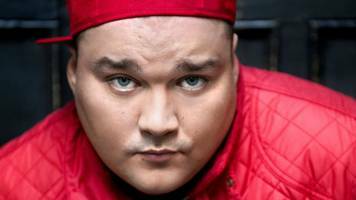 But Charlie Sloth is today revealed as a father living in a sprawling £500,000 home in Northampton. 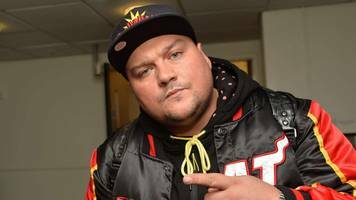 Charlie Sloth has quit his BBC Radio 1and 1Xtra jobs [Getty] Charlie Sloth confirmed he was no longer working at BBC Radio 1 after engaging in a foul-mouthed rant at an award show. 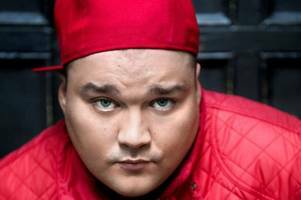 Charlie was due to..
Charlie Sloth has left BBC Radio 1 with immediate effect after he gate-crashed the stage when Edith Bowman beat him at the Audio and Radio Industry Awards. 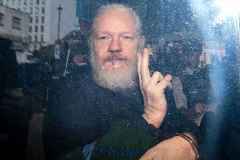 The DJ announced he would not fulfil his last few radio shows after storming the stage when he lost out to Scottish star Edith Bowman. 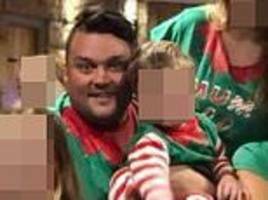 The DJ was scheduled to complete 10 more shows before leaving the station in November. 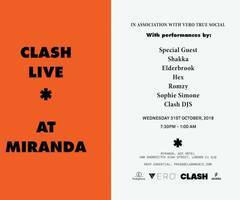 In Association With Vero True Social With Autumn upon us and Issue 109 hitting the print presses we have put together a Halloween Clash Live special. 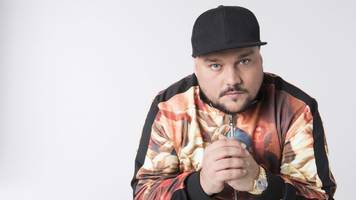 Teaming up with the mighty *Parlophone..
Social media users are asking why the controversial YouTuber is appearing on Charlie Sloth's show. Plus, get his thoughts on the Royal Wedding... *Big Shaq* has dropped new single 'Man Don't Dance'. The comedy creation went viral last year, with his single 'Man's Not Hot' becoming a playground.. In Association With Vero True Social Thyra Banks (not to be confused with the smizing enthusiast) understands how the success game goes. As a rapper on the come-up, you can spend years putting in..
New 'South West' EP drops in a week's time... Friday the 13th - unlucky for some, but not for *Isaiah Dreads*. 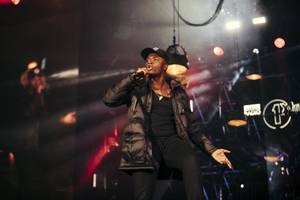 The Dorchester raised prodigy drops his new EP next Friday, with 'South West'.. Slew of new names confirmed for Croatian festival... *George FitzGerald*, *Abra Cadabra*, *Ms. Banks* and more have been confirmed for *Hideout*. 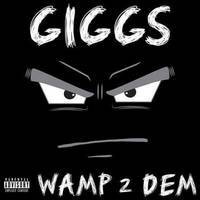 The huge Croatian festival returns this summer,..
One of the year's most striking viral stories... Late in August this year, *MC Quakez* and *MC Shakez *were given the opportunity to pass through Charlie Sloth’s BBC 1Xtra show to promote their..
Get involved... *Giggs* has dropped new mixtape 'Wamp 2 Dem' - tune in now. 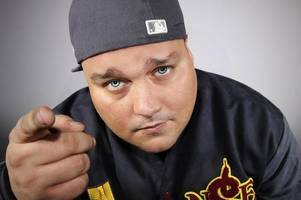 The rapper's 2016 full length 'Landlord' ranks as one of his best, a concise demonstration from one of the best MCs in..
Radio 1 is launching a new late night entertainment show featuring 1Xtra DJ Charlie Sloth. Do these Radio 1 DJs know their football? 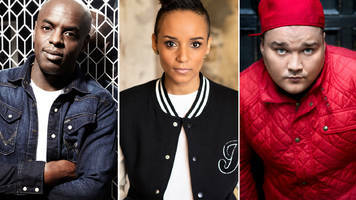 Premier League predictions by BBC Radio 1 and 1Xtra DJs Charlie Sloth, Adele Roberts, Trevor Nelson, Nick Bright and Chris Stark on the season's opening weekend. 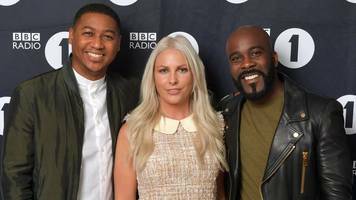 Premier League predictions: Do these Radio 1 and 1Xtra DJs know their football? 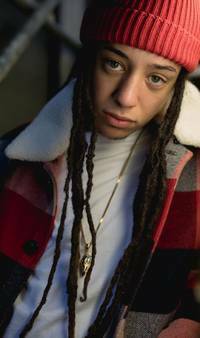 Honey G caused a lot of controversy[Wenn] And it seems as though she is still leaving fans shocked following her elimination from the ITV show. 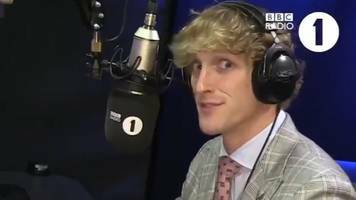 Sharon Osbourne’s pal was pulled off air midway through..
Radio 1 DJs Greg James & Charlie Sloth take on our nine-dart challenge in the build-up to the Champions League of Darts, which will be live on the BBC. 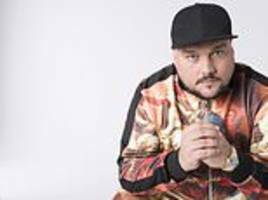 BBC football expert Mark Lawrenson takes on Radio 1Xtra DJ Charlie Sloth in this weekend's Premier League fixtures. 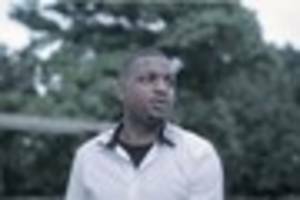 Radio 1Xtra's Charlie Sloth takes a look back at the history of rapping footballers, including Paul Gascgoine, John Barnes and Ian Wright. 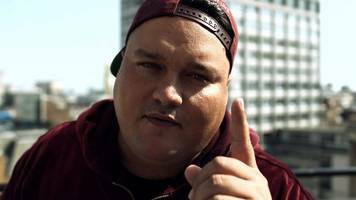 Radio 1 and Radio 1 Xtra DJ Charlie Sloth has plugged a Croydon rapper's latest music video - could he follow in the footsteps of grime star Stormzy and rap duo Krept and Konan in flying the flag for..
Getting under the skin of the UK hip-hop star... 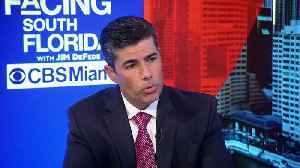 When you’re preparing to speak to a highly skilled rapper, known for mind-blowing wordplay, you know that you’re in for a good conversation. 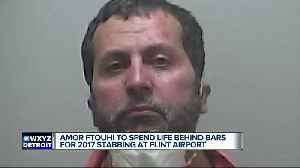 As..